Founded in 1969 and based in Wuhan, the Dongfeng Motor Corporation (DFM) is one of China’s largest auto groups, with total assets of RMB 240.2 billion and employees of 176,000 people. DFM’s main business covers the full range of commercial vehicles, passenger vehicles, new-energy vehicles, engines, auto parts and components, and other auto-related business, with the business scale exceeding 3.8 million units. 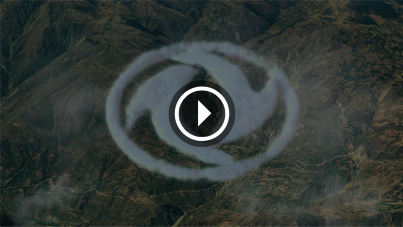 In the 2015 World’s Fortune Top 500, DFM ranked No. 109. DFM enjoys strong influence and brand appeal in the automotive industry. 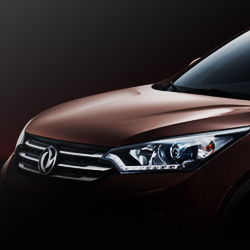 The Dongfeng' brand is the China automotive industry’s first well-known trademark, and ranks among the World Top 500 Famous Brands. In its 46-year history, DFM has become an industrial leader in operation & management ability, manufacturing ability and marketing ability in addition to building a composite and open-ended R & D system, providing DFM with powerful R & D strength and independent innovation capability. 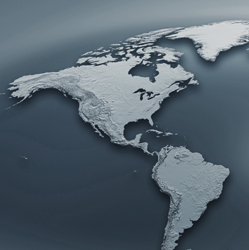 In particular, DFM’s R & D bases in China, Sweden, Germany and elsewhere are engaged in joint research and development and committed to technical innovation and application in the industry. By the end of 2014, DFM had supplied the market with a total of 26.60 million vehicles, of which its commercial vehicles (trucks and buses) cover a full range of products including heavy/middle/light-duty, mini, and special-purpose modified vehicles, etc., its passenger vehicles cover various types of models including the sedan, SUV, MPV, mini car and so on, its high-mobility special off-road vehicles cover desert vehicles, all-wheel-drive off-road trucks and more, and its new-energy vehicles cover various types of hybrid vehicles, BEVs, natural gas vehicles and so forth. Looking ahead, DFM will continue holding true to its vision of being 'a centenary Dongfeng with sustainable development, an innovative Dongfeng capable of independent development and an internationalized Dongfeng with global competitiveness', in an effort to become stronger and better, and develops into the world's most advanced transnational company. 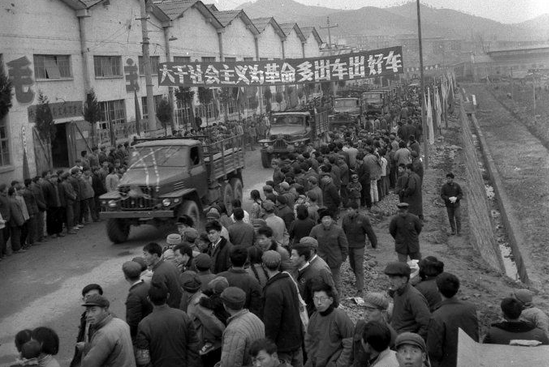 On September 28th, 1969, the large-scale construction of the Second Automobile Works Co., Ltd. (predecessor of DFM) was unveiled in Shiyan, Hubei Province. In June 1975, the Second Automobile Works Co., Ltd. (predecessor of DFM) independently developed and put into production its first basic model, the 2.5t Off-Road EQ240. On November 18th, 1975, with approval of the State Council, the Second Automobile Works Co., Ltd. (predecessor of DFM)’s product brand was officially named 'Dongfeng'. 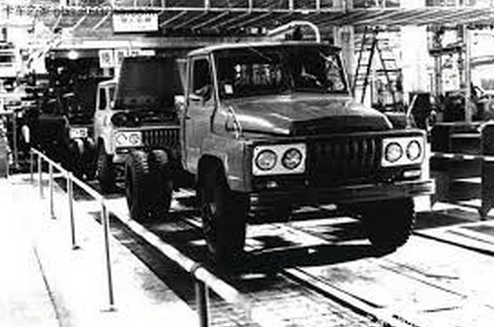 On July 15th, 1978, the production base for the second automotive model - EQ140 5t Heavy-Duty Truck was established and put into production, realizing the transformation from military use to civil use. 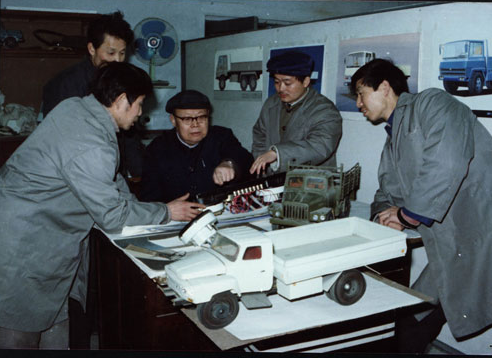 On April 1st, 1983, the Second Automobile Works Co., Ltd. (predecessor of DFM) established its R & D Center, built the product development pattern 'Centralization in Large Scale and Scattering in Small Scale', and made definite the product R & D philosophy 'Improve and develop this generation of products while researching the next' in order for the product development to enter a brand-new stage. 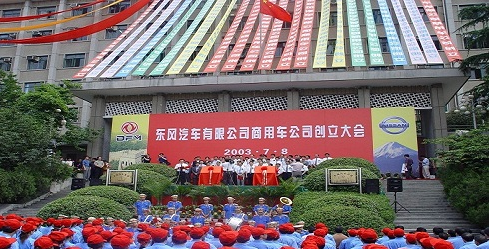 On October 5th, 1984, the Second Automobile Works Co., Ltd. (predecessor of DFM) held its 'Xiangfan Base Foundation Stone Laying Ceremony' in Xiangfan. In December, 1986, the EQ153 design was finalized. 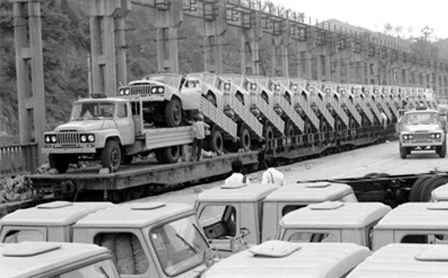 On November 27th, 1987, the Second Automobile Works Co., Ltd. became China’s first automaker with an annual production capacity of more than 100,000 units, ranking among the World's Top 3 Truck Manufacturers. 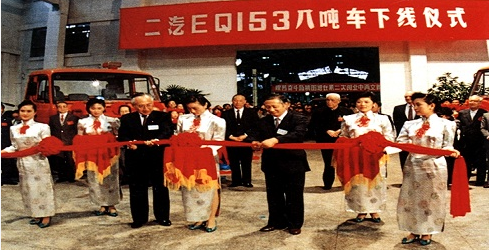 On October 18th, 1990, the EQ153 8t Flat-Head Diesel Vehicle was put into production. 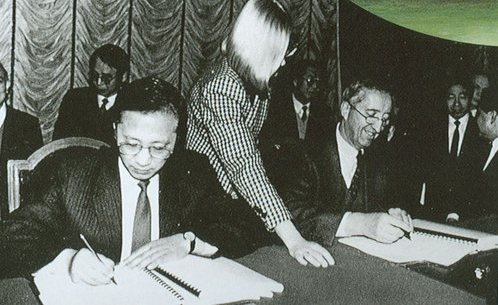 On December 19th, 1990, Factory Director of the Second Automobile Works Co., Ltd. (predecessor of DFM) Chen Qingtai and Chairman of the France-based Citroen Company Calvi signed the SAW-Citroen Sedan Project JV Contract in Paris, France. 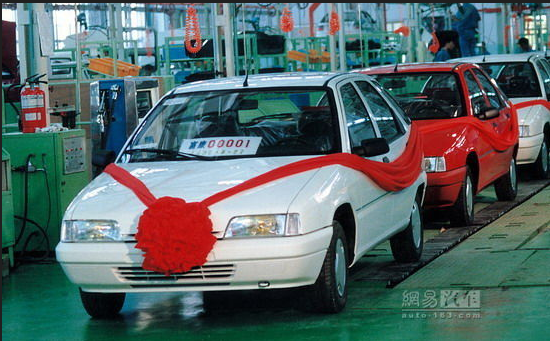 On April 9th, 1991, the 1,000,000th Dongfeng vehicle rolled off the production line. On September 1st, 1992, the Second Automobile Works Co., Ltd. made public that it was formally being renamed the Dongfeng Motor Corporation (DFM), and the Dongfeng Automobile Industry Joint Operation Company was renamed the Dongfeng Motor Group (DFG). 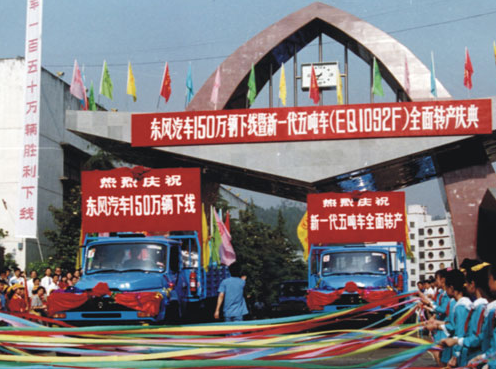 On September 4th, 1992, DFM held the Fukang Sedan Launch Ceremony at the Installation and Commissioning Factory of the Xiangfan Base. 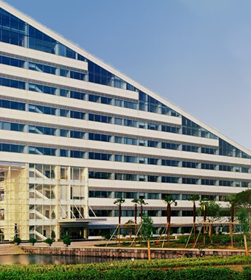 On February 26th, 1993, the Construction Kickoff and Foundation Stone Laying Ceremony for Dongfeng Peugeot Citroen Automobile Company Co., Ltd. took place in the Wuhan Economic & Technological Development Zone. In August 1995, DFM was named 'King of the China Automobile Industry'. On April 9th, 1996, the State Administration for Industry & Commerce granted DFM a 'Well-known Trademark' certificate, and the 'Dongfeng' trademark became the China automobile industry’s first well-known trademark. 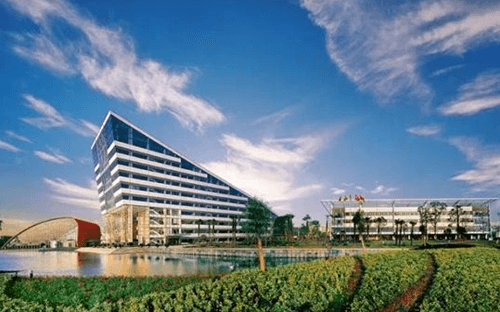 On June 26th, 1996, the Inaugural Conference of Dongfeng Motor Electronic Instrument Co., Ltd. was convened in Shanghai and DFM owned its first listed company. In September 1997, DFM passed the ISO9001 quality system certification. 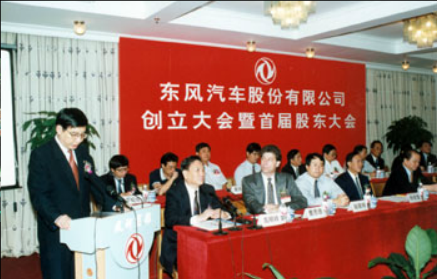 On July 15th, 1999, the Inaugural Conference of Dongfeng Automobile Co., Ltd. and the First Shareholders Meeting were convened. 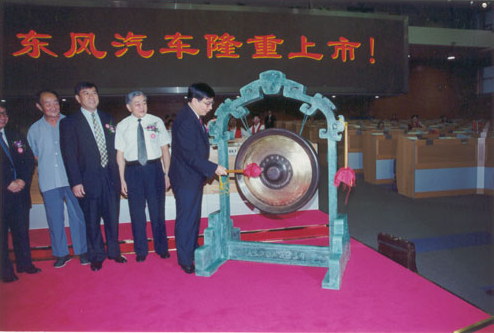 On July 27th, 1999, DFM successfully went public in Shanghai. In November 2001, DFM planned to expand its cooperation with the France-based Citroen Company to include cooperation with the Peugeot Citroen Group (PSA). In August 2002, DFM joined hands with Jiangsu Yueda Investment Co., Ltd. and Hyundai KIA Automotive Group to found the Dongfeng Yueda KIA Automobile Company. 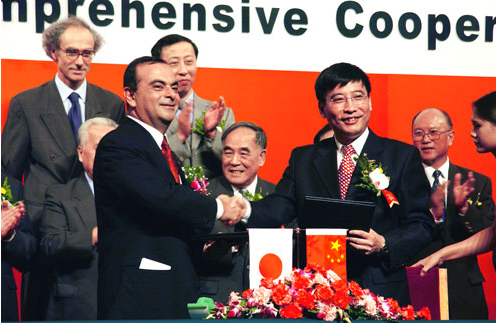 On September 19th, 2002, DFM and the Nissan Motor Company signed a comprehensive cooperation agreement which gave rise to a JV project with the largest scale, the deepest cooperative level and the broadest cooperative fields in China's automobile industry. 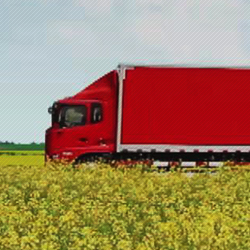 On July 8th, 2003, the Dongfeng Commercial Vehicle Company of Dongfeng Motor Company Ltd. was founded. 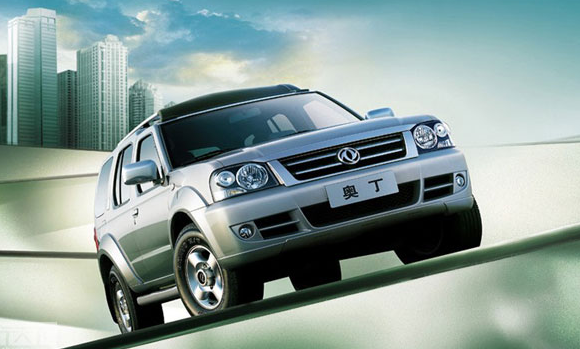 On December 7th, 2005, Dongfeng Motor Group Co., Ltd. was listed on the HKEx Main Board. On May 18th, 2006, Dongfeng KINLAND and T-LIFT were launched onto the market. In December 2006, the 10,000th Dongfeng Ruiqi Diesel Pick-Up rolled off the production line. 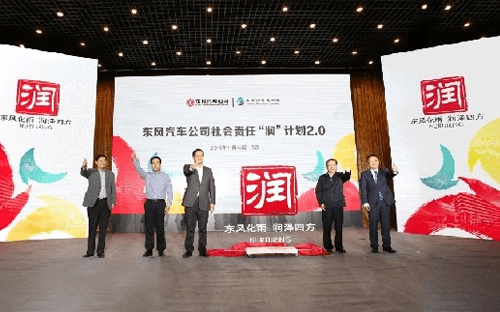 On February 12th, 2007, 'Dongfeng' was honored as 'The Most Competitive Brand of 2006 in the Market' at the 'Way for Chinese Brands' event jointly sponsored by the Ministry of Commerce and CCTV. On March 5th, 2007, a Departure Ceremony for the export of 200 units of Dongfeng KINLAND Heavy-Duty Trucks to Iran took place in Shiyan. On April 1st, 2007, Dongfeng Electric Vehicle Co., Ltd.’s proprietary EQ6110HEV1 hybrid passenger vehicle took the lead in passing domestic rollover testing, completing the hybrid electric passenger vehicle industry’s “first rollover in China”. 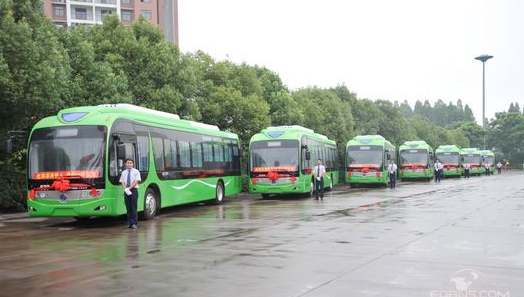 On September 8th, 2007, DFM delivered the first batch of hybrid electric buses (30 units in the first batch, 100 units in all) to the Wuhan City Bus Group. The Dongfeng Hybrid Bus became China’s first electric vehicle type that has been put into batch production and sales. On September 11th, 2007, the Dongfeng Heavy-Duty truck was named among 'China's Famous Brand Products' by the General Administration of Quality Supervision, Inspection and Quarantine of the People's Republic of China (AQSIQ) at the '2007 China's Famous Brand Products & China's World-Famous Brand Products Awards Ceremony' that was convened at the Great Hall of the People in Beijing. 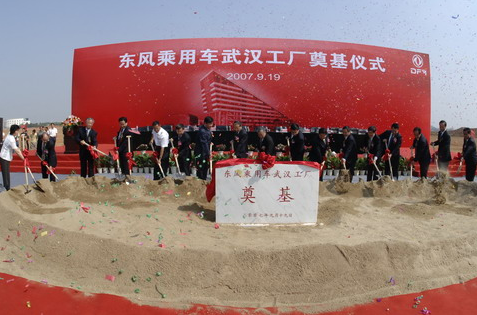 On September 19th, 2007, the DFPV Wuhan Plant Foundation Stone Laying Ceremony was grandly held in the Wuhan Economic & Technological Development Zone. On September 24th, 2007, Dongfeng Xinjiang Automobile Co., Ltd. celebrated the export of over 1,000 heavy-duty vehicles in 2007 and the launch of the 1000th desert off-road vehicle. On April 9th, 2009, a KD-Assembly Technical License Contract for the Dongfeng Light-Duty Truck in Venezuela was successfully signed. 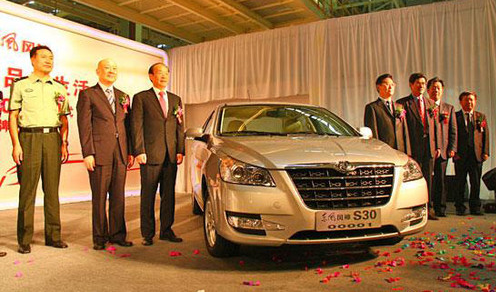 On December 10th, 2011, the Press Conference for Launch of the 1,000,000th Vehicle of Dongfeng’s Independent Brands & Dongfeng Independent Brands Midterm Business Plan was lavishly held at the DFPV Wuhan Plant and the brand-new flagship vehicle the DFM A60 rolled off the production line as the Company's 1,000,000th vehicle. On May 5th, 2012, DFM held a celebration for the launch of 2 million units of light-duty vehicles & new-generation engineering vehicles. 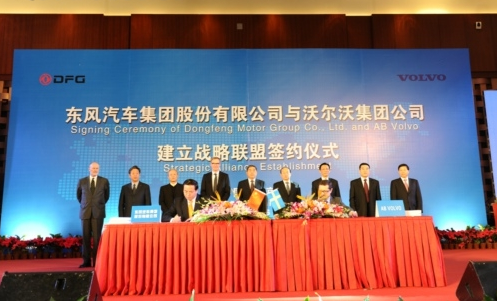 On January 26th, 2013, Dongfeng Motor Group Co., Ltd. and the Sweden-based AB VOLVO signed an agreement in Beijing stating that both sides will establish a strategic alliance linked by capital and join hands to develop the world-leading 'Dongfeng' commercial vehicle. 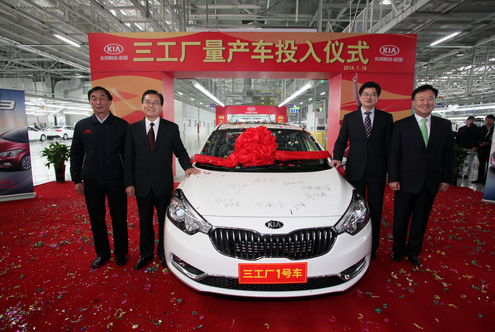 On January 16th, 2014, the Third Plant of Dongfeng Yueda KIA Automobile Co., Ltd. was established and put into production. On February 20th, 2014, the DFM R & D Center held a Launch Ceremony for its Phase II Capacity Construction Project. In light of the planning, the project will have a total built-up area of 125,000m2 and a total investment of RMB 2 billion; it is estimated to be put into service in 2016. 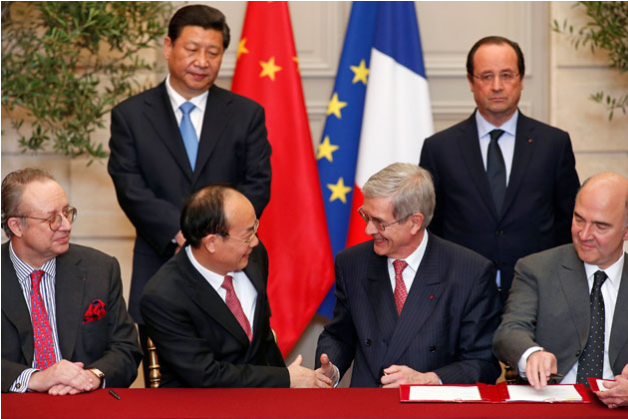 On March 26th, 2014 (local time in France), Dongfeng Motor Group Co., Ltd., the Government of France, the Peugeot Family Company and the Peugeot Citroen Group (PSA), signed a definitive agreement at the Élysée Palace in Paris. According to the agreement, DFG will invest EUR 800 million in purchasing shares issued by PSA through private placement. After that, DFG will have a 14% stake in PSA, making it PSA’s first majority shareholder keeping pace with the Government of France and the Peugeot Family. Chinese President Xi Jinping and his counterpart French President François Hollande both attended the signing ceremony. On March 28th, 2014, DFM and PSA entered a Global Strategic Partnership Agreement, officially establishing a global strategic alliance. 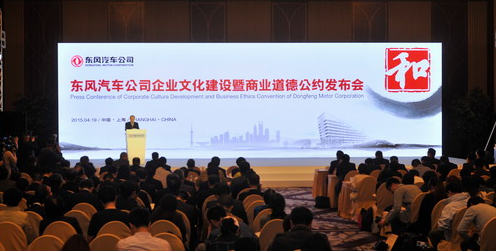 On April 18th, 2014, on the eve of the 2014 (13th) Beijing International Automotive Exhibition, the Conference for the Release of DFM's Cultural Strategy & Great Proprietary Passenger Vehicle Achievements took place in Beijing and DFM officially made public its 'Together' cultural strategy. Three strategic Dongfeng vehicle models - DFM No. 1, DFM L60 and DFM AX7 - made their global debut at the conference and the DFM CM7 was launched onto the market all over China. On the morning of June 22nd, 2014, King of the Belgians Philippe led a delegation consisting of Belgian government officials, members of the Royal Family, enterprise representatives and media representatives to DFM to pay a visit and exchange views. On September 22nd, 2014, Dongfeng Infiniti Motor Co., Ltd. was officially founded. Dongfeng Infiniti is a wholly-funded subsidiary of Dongfeng Motor Co., Ltd., a JV business invested in by DFM and the Nissan Motor Company at a contribution proportion of 50:50. 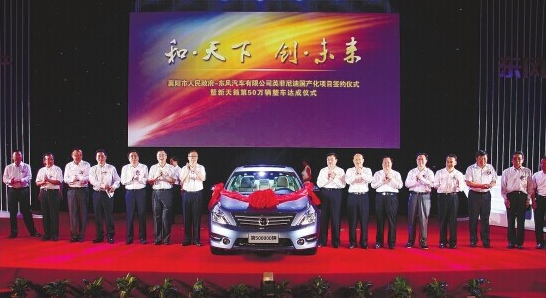 On October 16th, 2014, the foundation of the Dongfeng Peugeot Citroen Automobile Company Co., Ltd. (DPCA) Plant No. 4 was laid in Chengdu City. With a total investment of RMB 12.3 billion and a total designed production capacity of 360,000 units/year, the DPCA Plant No. 4 will be established and put into production at the end of 2016. On October 18th, 2014, the Dongfeng Nissan Passenger Vehicle Company Dalian Plant was officially put into production. With a total investment of RMB 5 billion, the plant’s Phase I is in a position to produce 150,000 units of vehicles per year. 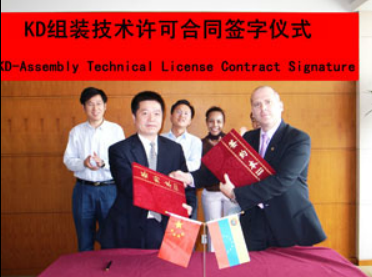 On October 17th, 2014, DFM and Huawei Technologies Co., Ltd. signed a strategic cooperation agreement in Wuhan. Both sides will promote the intelligent development of Chinese automakers in an all-round manner. 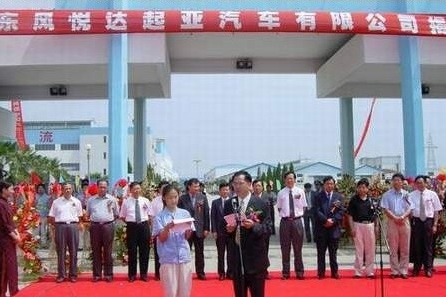 On October 23rd, 2014, Dongfeng Special-purpose Commercial Vehicle Co., Ltd. was founded at the Shiyan Base. 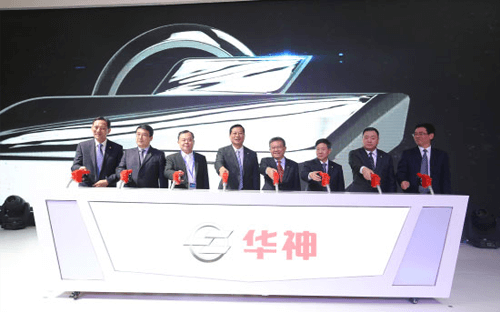 On January 6th, 2015, 200 units of DFM A08 Light-Duty Battery Electric Vehicles (BEVs) were delivered to Zhejiang SKIO MATRIX Co., Ltd. (SKIO MATRIX for short) in the preliminary stage, marking the first order of this immense size to be won by the Dongfeng NEV Business Unit. 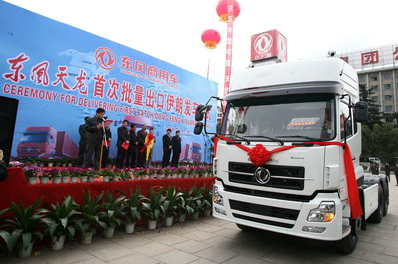 On January 26th, 2015, Dongfeng Commercial Vehicle Co., Ltd., a joint venture between DFG and Volvo Group, was officially founded and put into operation in Shiyan City. 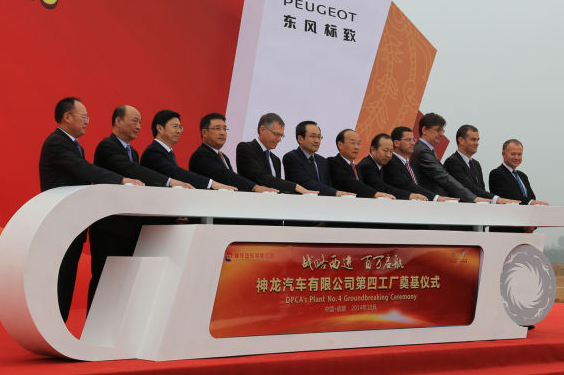 May 11, 2016, Dongfeng Motor Group, PSA Group and Dongfeng Peugeot-Citroën Automobile Co., Ltd. signed the Agreement on Joint Development of the Electrical Version of the Common Modular Platform (eCMP) Project. 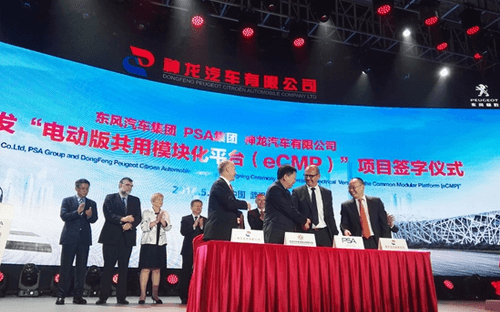 This project, jointly developed by DFG, PSA and Dongfeng Peugeot-Citroën who share the intellectual properties, is an extension of the achievements of the global common modular platform (CMP) project and symbolizes deeper cooperation among the parties. 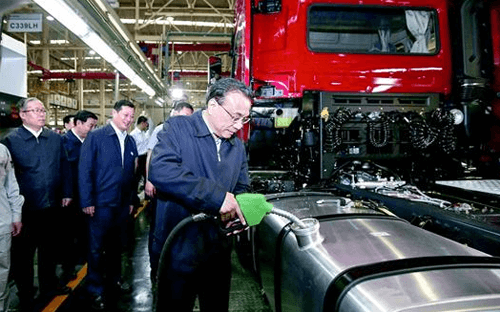 May 23, 2016, Prime Minister Li Keqiang was invited to refuel a new heavy truck during an inspection to Dongfeng Motor. 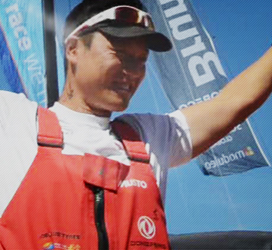 He said: “Let’s refuel Dongfeng, cheer for made-in-China brands and cheer for you!”. The Prime Minister’s praise and cheer for our own brands is also an expectation for the Chinese automobile brands, including DFM, to carry forward the entrepreneurial spirit of struggling hard, realize the goals of the “13th Five-Year Plan” and make contribution to “Made in China 2025”. 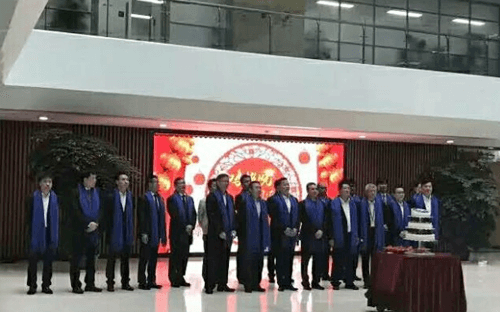 Oct 18, 2016, the release conference of the "Harmony" culture action program of the company was held at the company's headquarters. the "Harmony" culture action program of the company includes 9 values and behavioral guidelines, including sense of responsibility, sense of devotion, sense of teamwork, sense of market, sense of openness, sense of innovation, sense of people orientation and sense of sharing, gradually formed during the cultural practice of all people at DFM for joint abeyance by all related enterprise on the bases of DFM’s culture of “harmony for mutual support, pioneering and co-existence”. 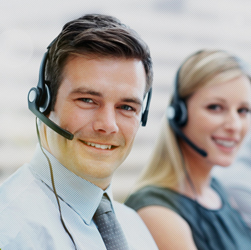 This action program, embodying the professional spirits, strategic thinking and value pursuit of DFM and all people of DFM, can serve as guidelines and norms for the practice and behaviors of the company and all the staff. 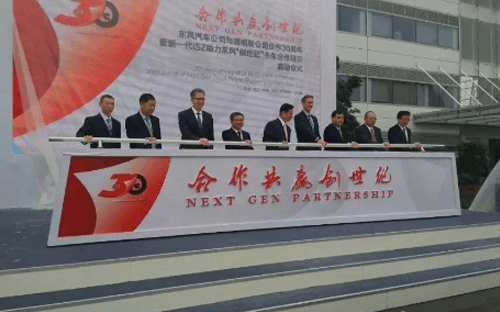 Oct 20, 2016, the cooperation project for supporting the “Next Gen” truck project with the new generation of ISZ was launched. This project is a crucial cooperation project between DFM and Cummins targeting the future. 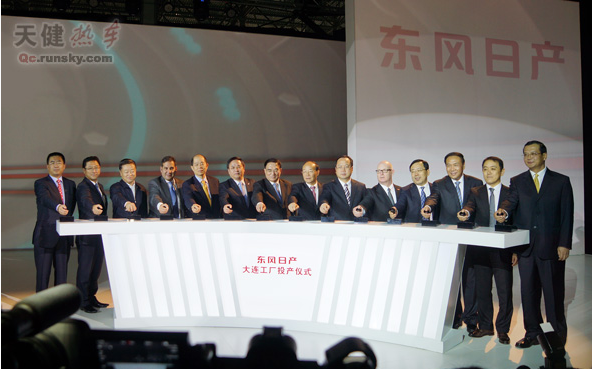 Cummins will apply its experience in the field of heavy-duty engines to the support for the “Next Gen” truck project of Dongfeng Commercial Vehicle Company and the independent innovation of DFM. Nov 23, 2016, DFM released its CSR “Nurturing” program 2.0, which indicates the full opening of DFM’s social responsibility efforts for the “13th Five-Year Plan” and is as significant as a milestone for DFM’s business development. The “Nurturing” program 2.0, defining the CSR objectives, vision, concepts, practical system and supporting system, etc. of DFM during the “13th Five-Year Plan”, is an important part of DFM’s strategic planning for the “13th Five-Year Plan” and the action guide for CSR of DFM during the “13th Five-Year Plan”. In 2016, DFM continued to rank second in the industry in terms of operation scale with a total sales of 4.2767 million vehicles, a year-on-year increase of 10.44%, including 3.7849 million passenger vehicles, increased sharply by 10.62% over that of the previous year, and 491,800 commercial vehicle, increased by 9.06% over that of the previous year and outperforming the market average. Feb 7, 2017, Venucia officially announced that according to a resolution of the board of directors of Dongfeng Motor Corporation and as approved by the State Administration for Industry and Commerce, Dongfeng Venucia Automobile Co., Ltd. was officially founded. 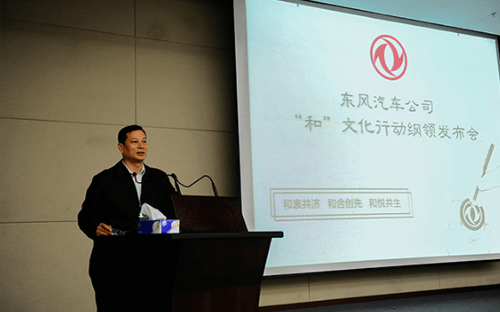 It is learned that after the independence from Dongfeng Nissan Passenger Vehicle Co., Ltd., the brand Venucia will belong to a subsidiary of DFM, which will be the 7th subsidiary under DFM, at the same level with Dongfeng Nissan. Aug 29, 2017, the Renault-Nissan Alliance issued an announcement that they had signed an agreement with Dongfeng Motor Corporation (DFM) to set up a new joint venture for joint R&D and production of electric vehicles in China. According to the announcement, the new joint venture, named eGT NEW ENERGY AUTOMOTIVE CO., LTD. (eGT), will be owned by Renault (25% of the equity), Nissan (25% of the equity) and DFM (50% of the equity) jointly. The electric vehicles designed by the new company will be based on the small SUV platform developed by the Renault-Nissan Alliance and be produced by DFM. Pursuant to the Notice of the General Office of the State Council on Printing and Distributing the Implementing Plan for Corporate-style Restructuring of Central Enterprises (GBF  No. 69), DFM completed the registration of industrial and commercial registration of changes on Nov 14, 2017 after restricting of the company. After the restructuring, the former “东风汽车公司” is renamed “东风汽车集团有限公司”, whose English name is “Dongfeng Motor Corporation”. 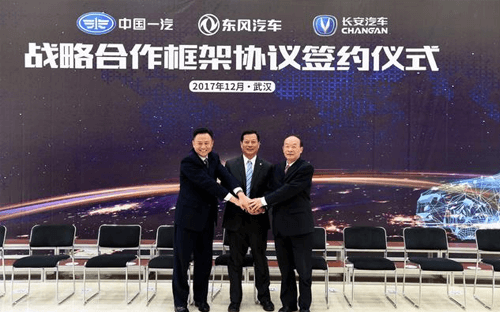 Dec 1, 2017, China FAW Group Co., Ltd. (FAW), Dongfeng Motor Corporation (DFM) and Chongqing Changan Automobile Co., Ltd. (Changan) signed a strategic cooperation framework agreement in Wuhan Hubei. According to the agreement, the three parties will have all-round cooperation in four areas including forward-looking technological innovation, full-value-chain operation of automobiles, “going global” jointly and new business models. 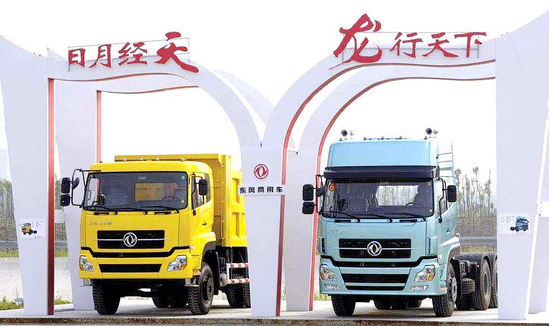 Dec 19, 2017, Dongfeng Huashen Motor Co., Ltd., Dongfeng (Shiyan) Special Commercial Vehicle Co., Ltd. and Dongfeng (Shiyan) Special Body Co., Ltd. jointly issued an announcement that Dongfeng Huashen Motor Co., Ltd. merged the latter two companies, both of which were unregistered according to law. 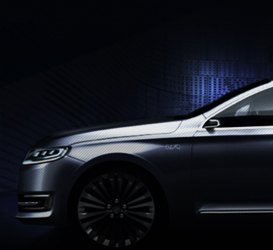 It is learned that Dongfeng Huashen, a new member of the Dongfeng family will be inaugurated in Shiyan on Dec 28.